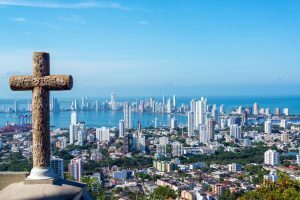 A harder stand on drugs by Colombia’s new president won’t have a negative impact on the country’s burgeoning legal medical cannabis industry, according to executives in the country – and it could even be a positive development for the sector. President Ivan Duque signed a decree on Oct. 1 banning the possession and use of illegal drugs in public spaces, including small quantities for personal use, countering a Colombian Constitutional Court ruling that took effect in 1994 and was reaffirmed in 2012. Duque has been in office since August this year. Executives of medical cannabis companies told Marijuana Business Daily that they don’t expect the new decree to negatively affect the legal medical and scientific industry. Instead, the crackdown on the illegal market could boost reliance on legal – and safer – regulated markets. Regulators are operating slower than usual, said Santiago Piadrahita, CEO of Extractos Doña Blanca, a late-stage applicant in Medellín that is pursuing the active pharmaceutical ingredients niche, but that’s not surprising in the early months of a new government. He said Duque’s focus is on eliminating “micro-trafficking” – the small-scale sale of drugs – near schools, where dealers had few restrictions. The measure will affect illicit sales of unregistered homemade marijuana and coca topicals, as well as other products commonly bought on the street to treat pain. Julian Wilches, COO of Bogota-based Clever Leaves, a fully licensed producer focusing on export markets, is confident the new government won’t roll back the legal medical cannabis framework. However, there is some uncertainty about how the new authorities will continue to shape the industry, he said.